Ultra portable phono/line USB recording interface The description of the Reloop iPhono 2 could not be more appropriate: "Digitize your vinyl tracks for playing with any current DJ software....quickly and easily." The process of filing your irreplaceable vinyl collection just became a piece of cake. By plugging a turntable into the Reloop iPhono 2 USB audio interface, and then connecting this to a computer (PC or Mac), precious vinyl rarities can now be recorded digitally in crystal clear CD quality thanks to the high-quality digital drivers. It goes without saying that any other audio sources, such as tape decks or Minidisc players can also be connected to the interface for recording. But there`s more! Why not hook up a mixer to the Reloop iPhono 2 and record your entire DJ set to your computer? The mix can then be instantly uploaded to share with others online, or could just as easily be burnt to a CD for physical distribution - the possibilities are endless. The Reloop iPhono 2 even comes with a full copy of PCDJ DJ LE software and a sample pack from Loop Masters. Get digital. 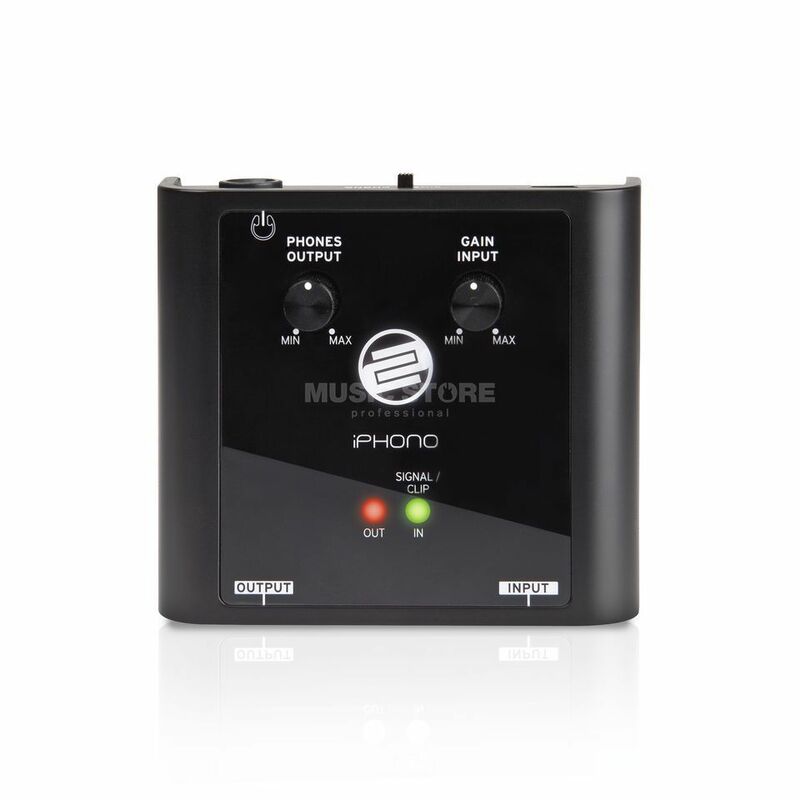 Get the Reloop iPhono2!